All domain names you can register are sub-domains of a Top-Level Domain (TLD). Some are geographically specific, and intended for organisations that are either head-quartered or trading in a particular country. For United Kingdom based organisations the most recognised TLD is .UK, which is typically broken down into Second Level Domains (SLDs), although SLDs within the .UK name space are going to be available in mid-2014. Domain names in other major TLDs are also provided via our virtco.com brand which can be registered by going to the virtco.com online store at shop.virtco.com. DGC is a very experienced registrar of .uk domain names, having been a Nominet member organisation since 1999. We have the ability to provide a complete end-to-end domain service providing domain name registration, primary and secondary DNS configuration and management, domain name renewal and all other domain name management functions. 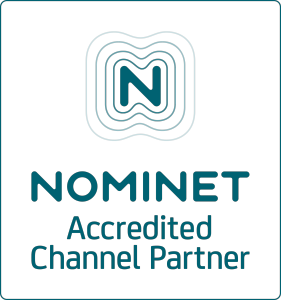 It is important to note that in addition to our terms and conditions, when you register or renew a .UK domain name you are also bound by the Nominet terms and conditions. For domain registrations within the standard .UK SLDs, we charge £15.00 +VAT for two years, and charge £15.00 +VAT for each subsequent two-year renewal. Within our domain registration and renewal charges we provide both primary and secondary DNS services to ensure that your website, email and other Internet services are continuously accessible. We will acknowledge receipt of all customer communications, requests or complaints within two working days and will complete requests within three working days of the initial contact.